FilterCleaner.com has been a part of Ward Diesel Filter Systems, from its inception in 1987. Ward Diesel NO SMOKE and NO SMOKE 2 filter systems have been installed on fire apparatus and other emergency vehicles to filter diesel exhaust, improve air quality in the firehouse, and protect the health of emergency responders on-scene. When Ward Clean Air Products, a sister company of Ward Diesel Filter Systems, began retrofitting vehicles in all markets, the need for a reliable filter cleaning service became abundantly clear. 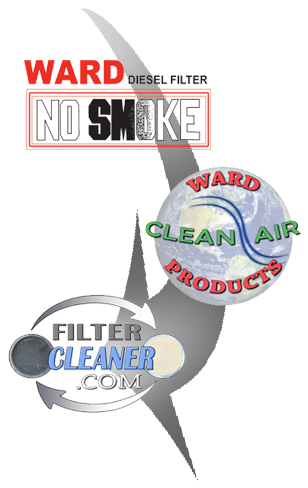 At that time FilterCleaner.com expanded to include anyone in need of filter cleaning services, not just the current customers of Ward Diesel and Ward Clean Air Products. Now, FilterCleaner.com has widened its services and products. In addition to simply cleaning and regenerating diesel particulate filters, FilterCleaner.com has become a valued source for other services related to diesel retrofits. Backpressure monitoring and logging, opacity testing, and on-site service are just a few of these other services we have to offer. Most importantly, we continue to put our customer first, with quick turnaround, excellent customer service and support, and cost-effective, quality solutions to any of your diesel retrofit needs.